The genomation package is a toolkit for annotation and visualization of various genomic data. The package is currently also in BioC. It allows to analyze high-throughput data, including bisulfite sequencing data. Here, we will visualize the distribution of CpG methylation around promoters and their locations within gene structures on human chromosome 3.
derived from the ENCODE and the Roadmap Epigenomics Project databases. We download the datasets and convert them to GRanges objects. Using rtracklayer and genomation functions. 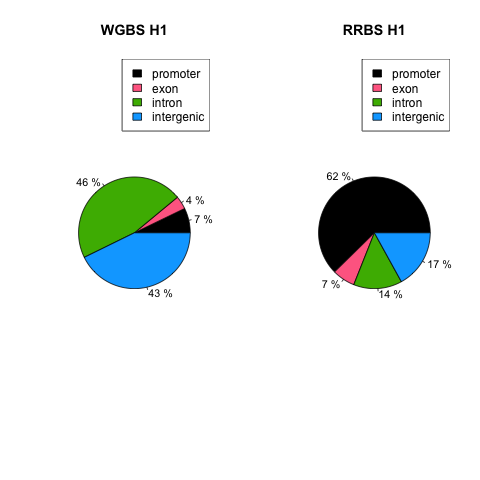 We also use a refseq bed file for annotation and extraction of promoter regions using readTranscriptFeatures function. 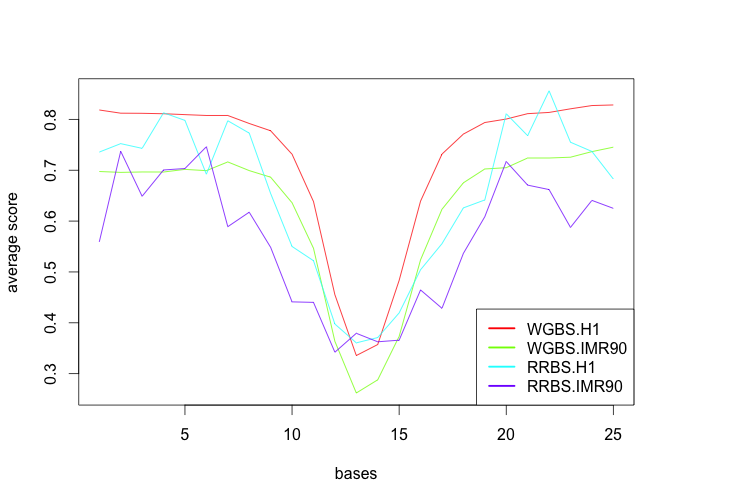 Since we have read the files now we can build base-pair resolution matrices of scores(methylation values) for each experiment. 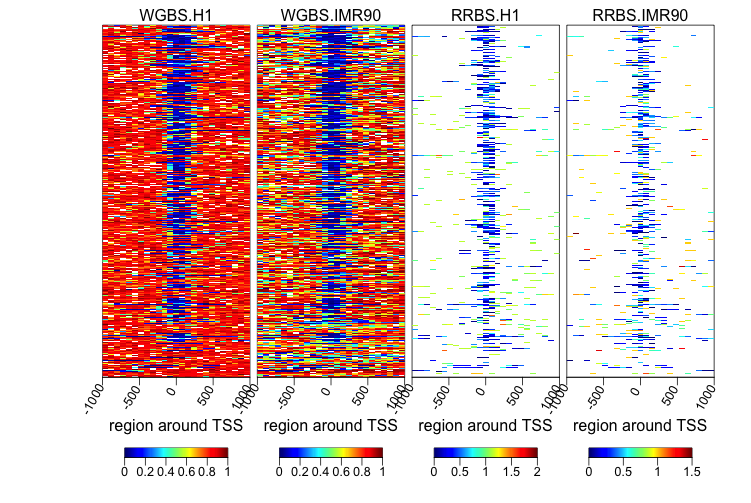 The returned list of matrices can be used to draw heatmaps or meta profiles of methylation ratio around promoters.